I wanted to get my parents an out-of-print board game for Xmas, but eBay wasn't helping. So, thanks to boardgamegeek.com, bricklink and LEGO Digital Designer, I was able to recreate the game using a whole lotta LEGO parts. 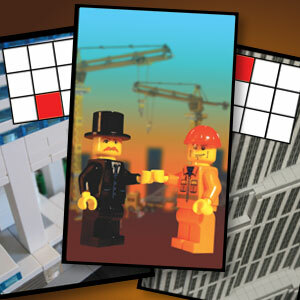 I designed the cards too; the building images are from brickshelf.com. 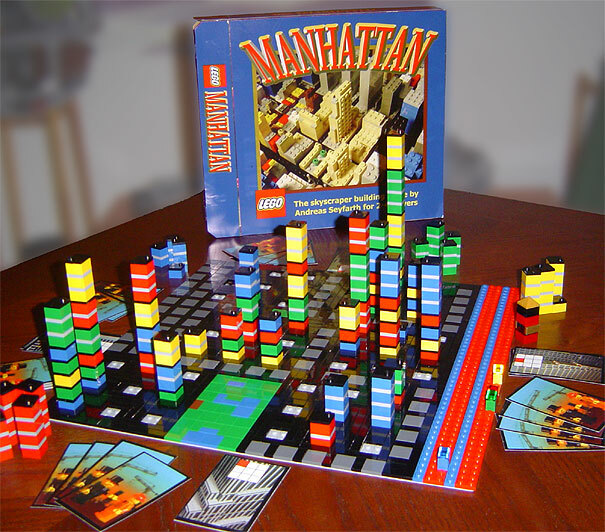 "Manhattan" was created by Andreas Seyfarth and was originally published by Hans im Glück in 1994.